The pitches are numbered to occupy most of the camping area. In the map you can locate pitches placed facing the sea or lagoon view, close to services, in the pool area, more shaded or exposed to sunlight. There are places for all needs. Among the approximately 200 seats are placed the columns for electricity supply included and some fountains for water load. The pitches of the rent includes the ability to use the toilet facilities, including showers with hot water, without having to pay any extra. 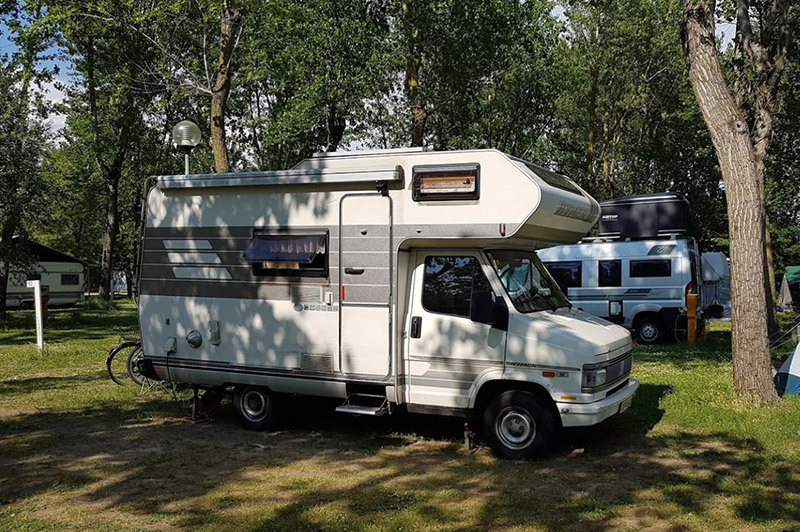 Similarly they are included in the price of the camper service or use of chemical toilet, parking for one car (strictly within its pitch) and access to the swimming pools, with the ability to have a sun loungers provided inside the sun. 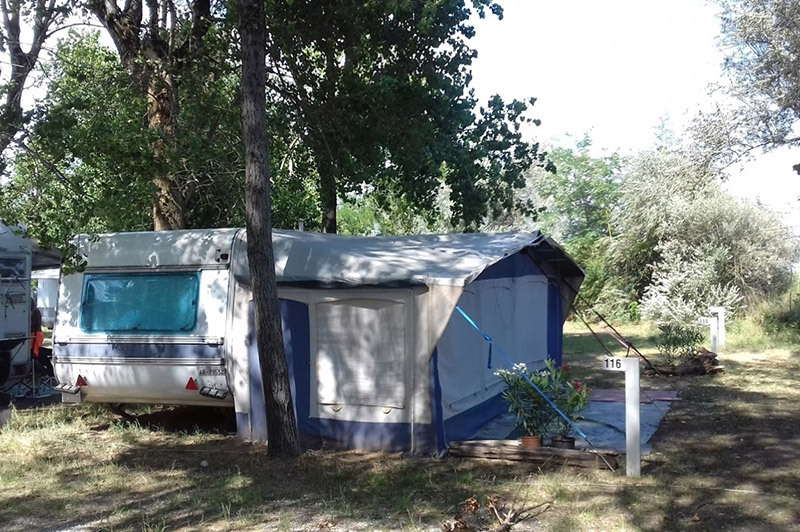 It measures about 60 square meters and is intended for the parking of campers, CARAVAN AND TENTS LARGE. It can accommodate a maximum of 6 people. 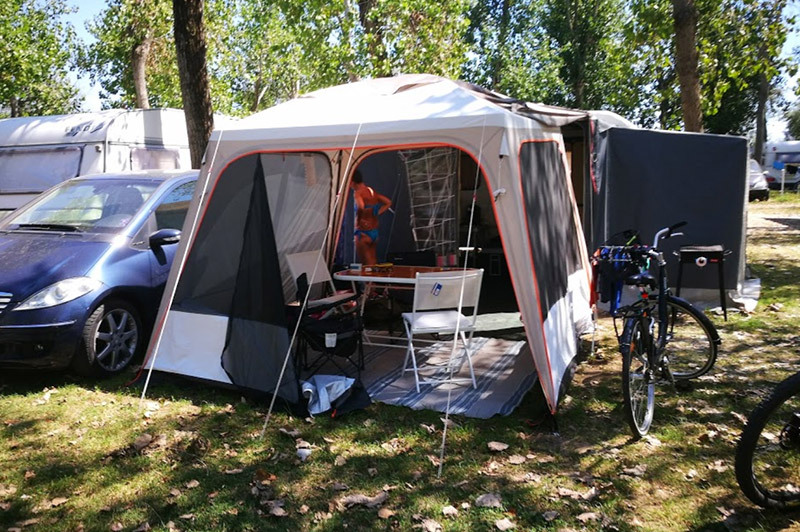 It measures about 30 square meters and is designed to stop small tents and minivan-sized car. It can accommodate a maximum of 3 people. N.B. The PITCH UNINHABITED is only a list entry that serves to calculate the cost of the night in the case where the pitch is busy by a medium where not nobody stays (eg. A pitch occupied by a “blank” trailer during the week).